The first phase of work will see eight rapid chargers installed in Tiverton, Cullompton and Crediton and the surrounding areas. The charging points are compatible with all EVs using the CHAdeMO, CCS or Type 2 AC (43kWh) charging standards and will be available for use by use by both domestic and commercial vehicles on a pay-as-you-go basis. The points will also be linked to the zap-map.com electric vehicle website to enable EV drivers from across the country to locate them. 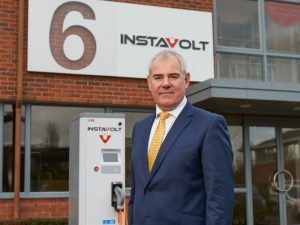 The move will help the council with its plans to drive down carbon emissions but will also provide it with an income from InstaVolt for the next 30 years.